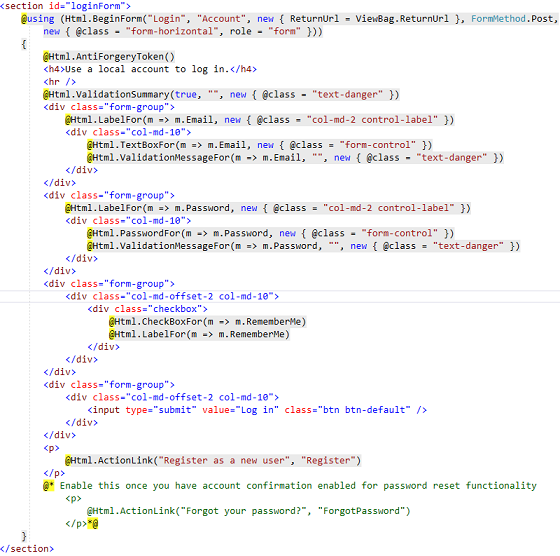 This time rather than jumping directly into the topic, let's have a look at the Login form code which you must have definitely seen while working on MVC application. 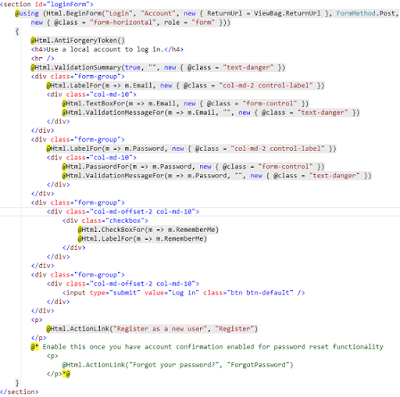 Tag Helpers are classes written in C# but are attached to HTML elements in order to run server-side code from Razor view. In other words, view created in HTML has its presentation logic defined in C#, which is ultimately executed on the web server. 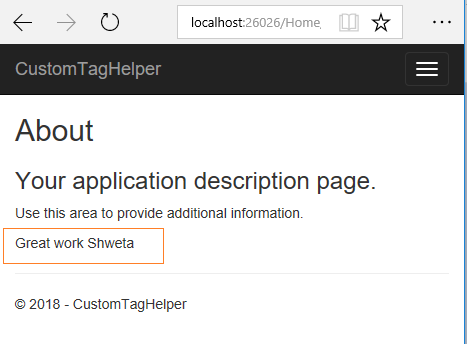 Examples of common built-in Tag Helpers are Anchor tag, Environment tag, Cache tag, etc. Understood...Not Understood...Confused? No worries. As we will proceed further, things will be much clearer. 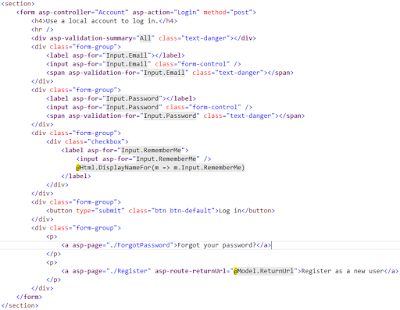 Now we got a basic idea of what is Tag Helper, how about creating our own Tag Helper. 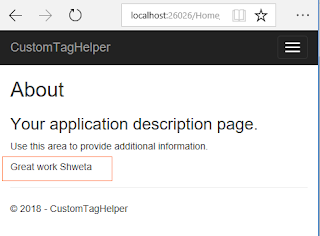 Let's go ahead and quickly create our own Tag Helper step by step. I'll take a very simple scenario, in which we will introduce a simple tag named 'Appreciate' which will take the value as person name and same will be displayed on the screen with some nice appreciation. 1) One has the benefit of getting away from the @ symbol in RAzor view and code looks cleaner, maintainable and readable. 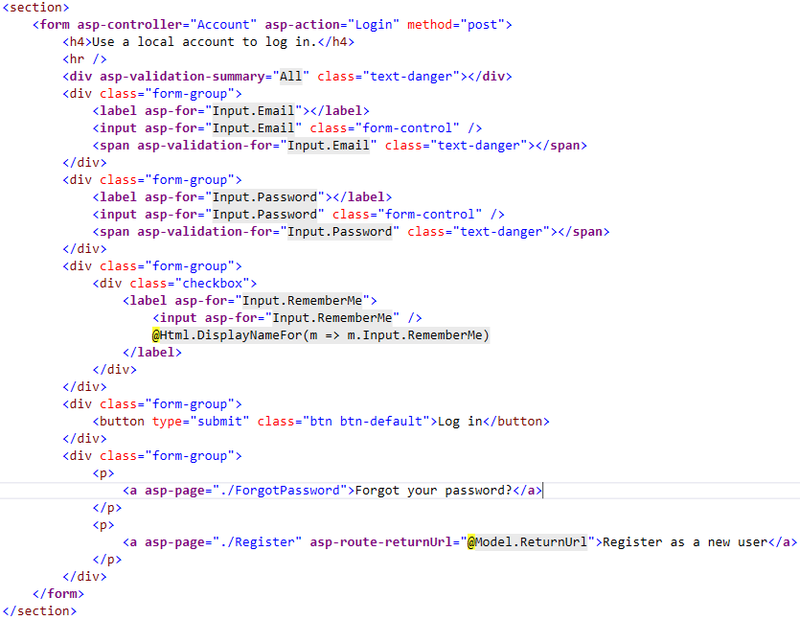 2) Tag Helpers are not a replacement of HTML helpers. Hope you enjoyed knowing about Tag Helpers. Both words sound similar but there is a very thin line which differentiates these two. Let’s have a look at key differences between these two methods. Note: All the services which are added to IServiceCollection can be utilized across the application.